If 'square' was meant as an insult, this confident clock would take it in stride. 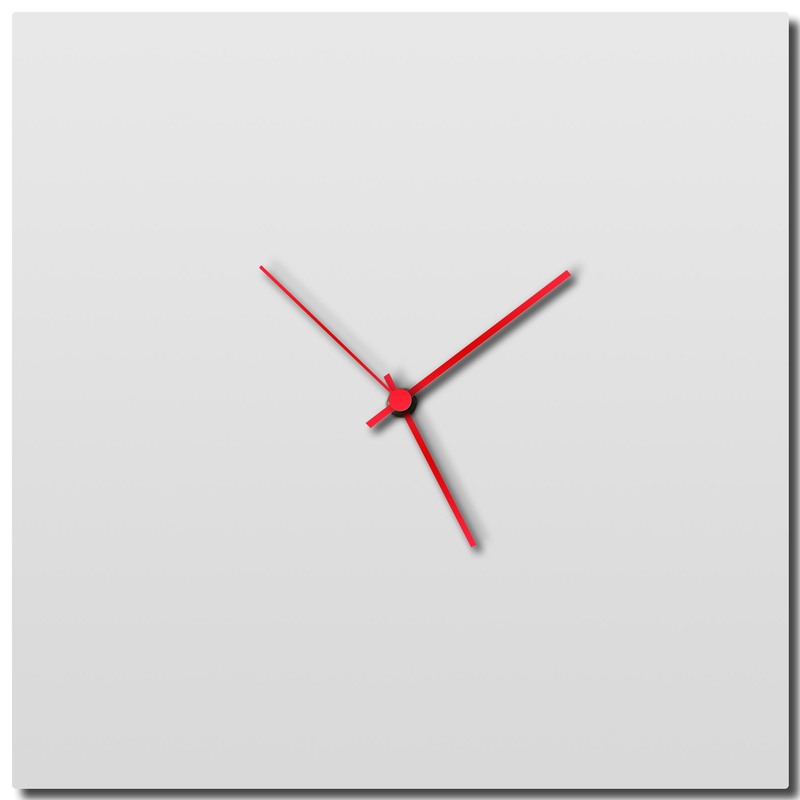 This square white clock is the epitome of clean minimalism with a refreshing splash of color. The vibrant hands are available in a rainbow of colors, contrasting beautifully with the crisp semi-gloss white face of this modern metal clock. With a simplistic square shape that is extremely versatile, this piece gives some added texture and intrigue to your wall without cluttering or distracting from surrounding decor.